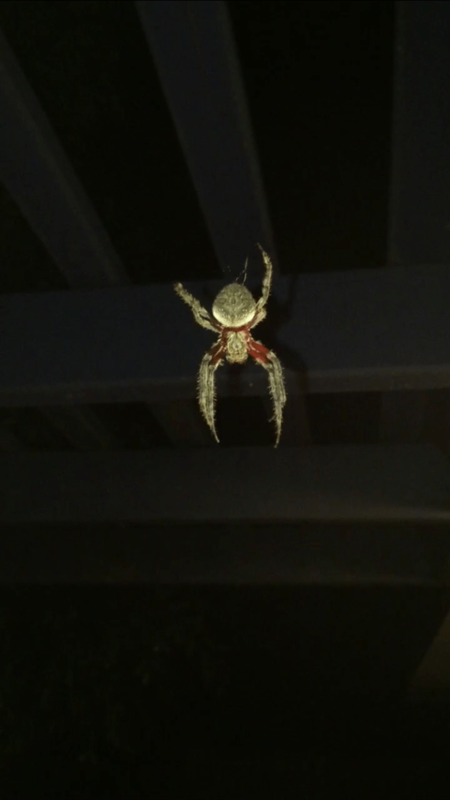 Can anybody tell me what type of spider this is? Hi, this is Neoscona sp., an unidentified spider in the genus Neoscona. They are orbweavers, named for their round webs. Thankyou so much, do you think its a female? And is it unusual for them to be found in Australia? There’s also a smaller one hanging around her but sort of hides in the corner so we are assuming that is the male. Thanks for the info! You’re welcome! Yes, if a smaller one is hanging around it’s a male timidly trying to tell her he’s there to mate and doesn’t want to be mistaken for food.